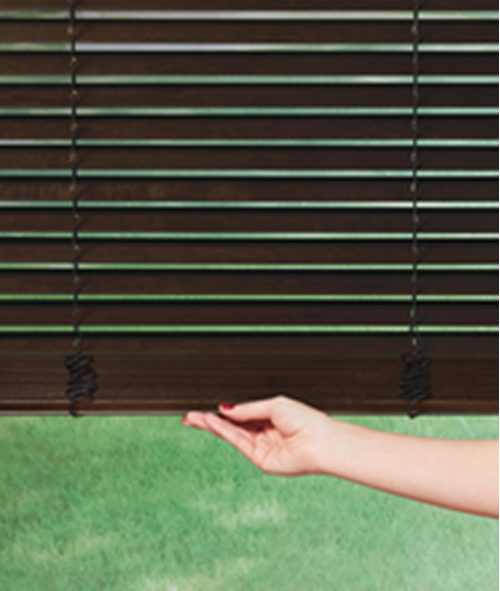 Venetian Blind Carpet One Floor and Home carries the full-line of Hunter Douglas window fashions and offers a wide array of lifting system options for enhanced child and pet safety. From cordless and motorized operating systems, retractable lift cords, cord tensioners and wand controls, we offer many innovative lifting systems designed with safety, convenience, and beauty in mind. Stop by our showroom to speak to one of our window covering experts to find the lifting system that works best for you and your family.